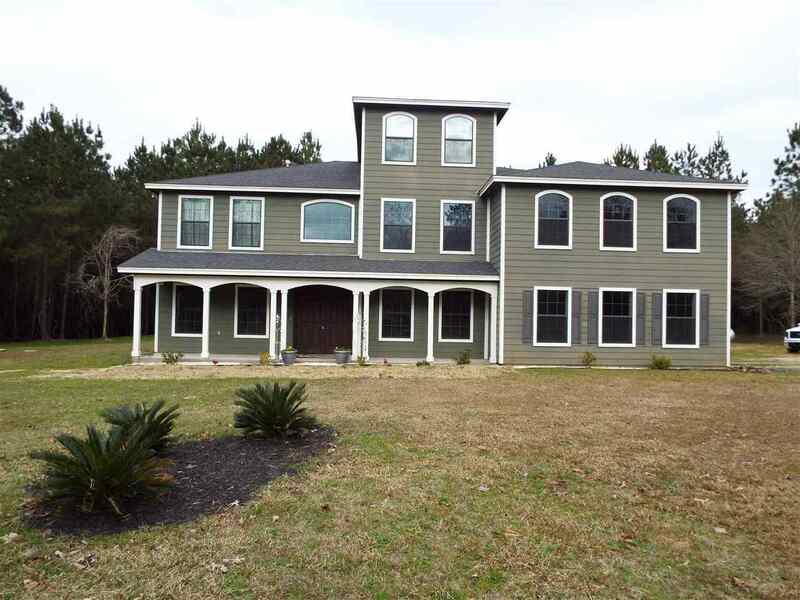 Amazing CUSTOM Home, over 4000 Sq Ft on 25 Acres. This is a one of a kind house. The front porch offers the perfect wildlife viewing. Enter the grand double front doors to the entryway with high ceilings, & see the office/formal dining room and 1 BD. The living room has vaulted ceilings & two-sided gas fireplace. The kitchen has granite countertops, island, raised bar, commercial grade double refrigerator & gas stove w/ double oven all open concept with dining area. The large master bedroom is downstairs, w/ his & her seperate bathrooms & a 6x5&apos; walk through shower with rainheads. The upstairs has a media area, two bedrooms, bathroom, & a VERY LARGE 5th bedroom that could be a gameroom. The house is topped off with a 3rd story loft/living area and fireman's pole for a quick departure. From the garage there is a mudroom w/ pet wash area. House has a genreator. The property has woods, wildlife, a small pond, shop w/ full bathroom, and a second water well/septic. An absolute must see!! Bath Description: Two Full Baths And Two 1/2 Baths.